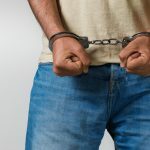 Wrongful arrest cases have been in the media recently, with a number of individuals and groups seeking compensation for being unlawfully detained or injured during the arrest. Being arrested can be a highly upsetting and stressful experience, which can be made worse if you have been arrested without a good reason or police have acted unfairly towards you. 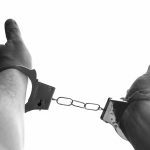 If you have reason to believe that you have been unlawfully arrested, it is important to contact a lawyer as soon as possible. Depending on the specific circumstances there will be different options available to you. If you want to make a complaint against a police officer, you can do so in writing by submitting your written complaint to your local police station or to the customer assistance unit at the NSW Police Force. 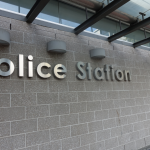 You will need to provide as much information as possible about the incident, including details of the officer or officers involved, the time and place of the arrest and the names of any witnesses who might be able to support your complaint. Once you have made a complaint it will be investigated and dealt with at your local police station. You will be advised of the outcome in writing and kept up-to-date with the progress of the matter in the meantime. If you are not happy with the outcome it is possible to make a complaint to the NSW Ombudsman and they will evaluate the case and where appropriate make further recommendations. If you have been unlawfully arrested and charged with a criminal offence, you may be able to apply to have the charges against you withdrawn. Your defence lawyer can advise you on whether or not this will be relevant for you and make the request on your behalf. Charges can be withdrawn for evidence and statements that were unlawfully obtained and charges that were made based on this evidence. 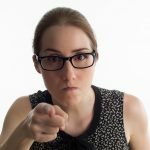 Having charges against you successfully withdrawn can mean that you avoid a criminal conviction or penalty, and you may not have to go to court. Instead, your lawyer may be able to attend court on your behalf to ensure that the charges are formally withdrawn. 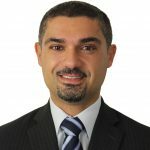 A number of members of the public have successfully sued NSW police for compensation recently, including Sydney-based lawyer Adam Houda and student Rachel Gardner. Gardner was recently awarded $243,000 in a court settlement after a police officer broke her leg while arresting her at Cronulla train station for not having a valid ticket. As well as medical costs, the compensation was for wrongful arrest damages and future economic loss as medical reports stated that Gardner was likely to develop arthritis from the incident in the next ten years. Some of the behaviours that you may be able to successfully sue the NSW Police Force for include wrongful arrest, assault, unlawful imprisonment, trespass, negligence and malicious prosecution. There is a time limit on how long after the incident you are able to sue, and you will need to produce evidence from witnesses. 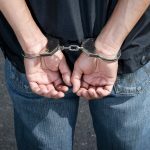 If you have been wrongfully arrested or believe that police officers used unnecessary force while arresting you, it is a good idea to speak to a lawyer as soon as possible. Your lawyer can help you prepare your case and advise you of the possible outcome. In some cases, it may be possible to bring criminal charges against police officers that use unnecessary force to arrest you. Officers who use unnecessary force could be found guilty of assault or battery, and if they are they will be required to face the necessary penalties. In a bid to reduce the number of people suing for wrongful arrest, NSW Premier Barry O’Farrell is bringing in new measures to increase police powers of arrest. The new laws will increase police powers of arrest without a warrant as well as allowing officers to seize items that are in the possession of people they have arrested. In addition to this, police will be allowed to arrest people fleeing the area where an offence has taken place. The new legislation has raised concerns over the increase in power the police will have as a result, and whether that will lead to people being arrested for questioning or for trivial matters. Where previously police were encouraged to issue a court attendance notice wherever possible as an alternative to arrest, under the new legislation it is possible that there will be more arrests over trivial matters, and people held in custody when a court attendance notice would have been more appropriate. The argument for the changes is that the current system is allowing people to escape prosecution by claiming unlawful arrest. The NSW Government argues that allowing officers to make more arrests without a warrant will help them do their job more effectively and keep the wider community safer. However, it is more likely that the increase in police arrest powers, and decrease in accountability, will make it even easier for police to get away with using heavy-handed tactics against members of the community. If you believe you have been unlawfully arrested it is important to speak to a lawyer as soon as possible. You can then decide on the most appropriate course of action to take.